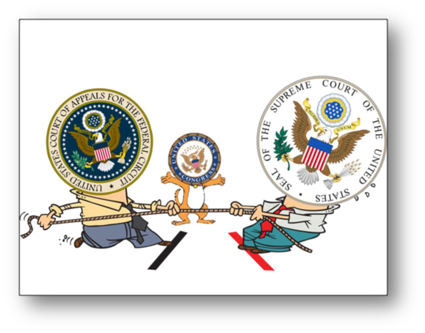 To make matters more volatile, patent practitioners have two courts to deal with in terms of those believing they’re the last word on the relevant law: the U.S. Court of Appeals for the Federal Circuit and the U.S. Supreme Court. We all know who really gets the last word on things, but for most patent issues, the Fed. Cir. makes the law. Well, guess what, the lawmakers in Congress also think they have something to say about the patent laws they initially wrote (or someone in the seat they now occupy wrote). The wheels on Capitol Hill are turning again over the patent laws (they have to do something up there while they’re not addressing the nation’s financial concerns). So, recently there have been some interesting issues evolving in patent law. Here’s a brief review to keep everyone up to date. The most frequent patent news as of late relates to newly proposed legislation to make it less attractive for non-practicing entities, also called patent trolls, to sue as a business model. Patent trolls are usually categorized as entities that own patents, but not the inventor of the claimed subject matter, that use those patents aggressively to solicit fees from companies they allege infringe their patents. Most recently, a bill called the Patent Litigation Integrity Act (S. 1612) was introduced in the U.S. Senate by Orrin Hatch (an experienced IP legislator) and proves for fee shifting in patent enforcements that aren’t “substantially justified” and allows for an accused infringer to move the court to require a bond be posted by the plaintiff. Prior to that, the Innovation Act (H.R. 3309) was introduced in the U.S. House of Representatives and provides for fee shifting of litigation costs and heightened pleading requirements, as well as a requirement that a party enforcing a patent disclose patent ownership information from the outset of a lawsuit. There’s some pushback on such proposed legislation within the patent practitioner community, not the least of which comes from former Chief Judge of the Fed. Cir., Judge Paul Michel (Ret.) (he made his comments, by the way, at the 15th Annual (Ray) Niro Distinguished Intellectual Property Lecture – Ray Niro is a well-known patent plaintiff’s attorney). 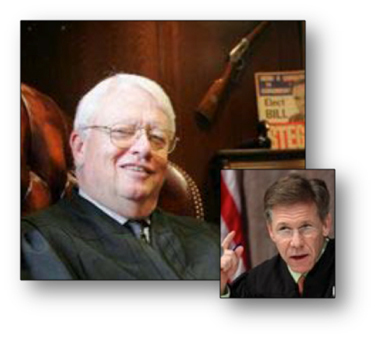 Likewise, the current Chief Judge Randall Rader warned lawmakers of overreaching in a speech at the Eastern District of Texas Bench Bar Conference – both decrying the “litigation blackmail” of some patent owning plaintiffs who seek to extort settlement that is less than the cost of a defense and also balancing this by saying that the solution is not special rules for patent owners that don’t make or sell any products. 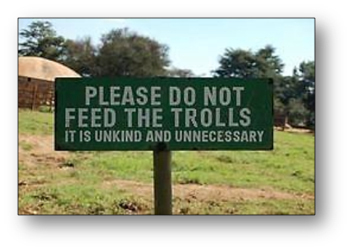 Opposition aside, it’s apparent that people are getting fed up with the tactics of trolls and the climate is ripe for some action. As patent litigators we’re all aware of how important the claim construction is to the entire case – it often dictates the outcome before the jury selection even takes place. So, it’s with high interest that we all await the en banc opinion from the Fed. Cir. in Lightning Ballast Control v. Philips. This case is all about how much deference to give the district court in reviewing its claim construction order. As it stands now, the 1998 Fed. Cir. ruling in Cybor makes claim construction a pure issue of law and allows absolutely no deference to the trial court judge’s opinion. Both parties in the Lightning Ballast case agree that the standard de novo review applied by the Fed. Cir. in reviewing claim construction is not the way to go. What they argue over is merely what parts of the district court’s claim interpretation get deference. I personally can’t wait to see the result. It hardly seems fair for the Fed. Cir. to identify a brand new claim interpretation, one that never had to be proved-up at the district court, and still outright reverse a jury verdict. But, this happens all the time. The opinion in Lightning Ballast should improve things one way or another. The U.S. Supreme Court has granted cert. in several IP cases this term. One of them, Octane Fitness, LLC v. ICON health & Fitness, Inc., involves the issue of determining whether a case is “exceptional” and, thus, warrants increased damages or the award of attorney fees. Fed. Rule Civ. Pro 11(c) and Patent Act section 285 each provide for the award of attorney fees as a sanction against the loser of certain cases. 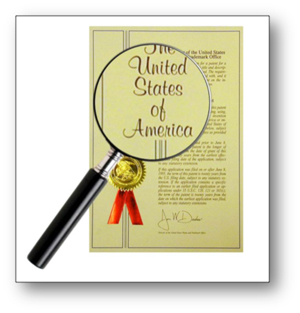 The Patent Act requires an exceptional case for such an award. What’s exceptional? A finding of willful infringement will make it so. Again, in Highmark Inc. v. Allcare Heath Management Sys., the subject of attorneys fees are at issue. In Highmark the question relates to whether any deference must be given to the district court’s award of attorney fees. So, as winners, we all want to collect attorney fees – we’ll have to stay tuned to see how it will be done in the future. 4. Burden of Proof – should it shift? Just in the last couple of weeks (November 5) oral argument [PDF] was heard in the U.S. Supreme Court in Medtronic Inc. v. Boston Scientific Corp. The issue is whether, in a declaratory judgment (DJ) matter, the burden should be on the possible-infringer plaintiff or the patent-holding defendant to prove either non-infringement or infringement, respectively. Normally, a patent holder has the burden of proof to establish by a preponderance of the evidence that those he accuses have infringed. A DJ situation is skewed, though, in that the would-be infringer brings the case to establish that he hasn’t infringed (or that the patent is invalid and he cannot infringe). That would-be infringer here (Medtronic) is a licensee, so the defendant-patent-holder’s position is that, as a licensee in good standing, he has no right to assert a counterclaim of infringement. So, a licensee-party can sue a patent-holding-licensor, force them to litigate, and also force the burden of proof on them. Weird, eh? In any event, we’ll definitively know the answer to this question in a few months. The America Invents Act, now in full effect, created new ways to challenge issued patents: inter partes reviews (IPR); post-grant reviews (PGR); and covered business method reviews (CBM). It appears that these are becoming pretty popular strategies as more and more litigators recognize how each challenge can fit into their practice and specific client situation. Apparently, as of this Fall, there have been almost 600 IPR petitions, a the rate of about 60 per month. Experts expect this rate to double in the coming year. To add fuel to this fire, recently the Fed. Cir. held in Fresenius USA Inc. v. Baxter Int’l Inc., 721 F.3d 1330 (Fed. Cir. 2013), that an invalidity (unpatentability) ruling by the USPTO Paten Trial and Appeal Board mooted a pending district court case once the patent was found invalid. Interestingly, the district court had reached the opposite ruling and was essentially overruled by the USPTO.